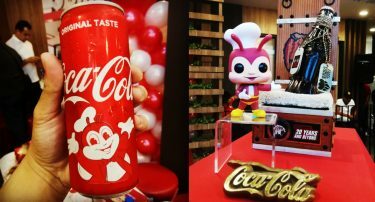 For the past few days, Jollibee teased us with their highly-anticipated collaboration with Coca-cola on their social media accounts. 1. It’s a collaboration of two iconic brands. Both known for bringing joy to their consumers through delicious food and refreshing drinks, this project marked a significant milestone for the two iconic brands. 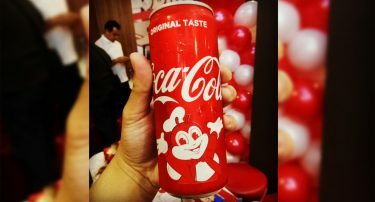 According to Winn Everhart, president and general manager of Coca-cola Philippines, this is the first time in Coke’s history that they partnered with a brand to be featured in the drink’s can. The limited edition Jollibee Coke Can. The much-awaited cute Jollibee Coke Can will be available in the market starting tomorrow, January 15, in all Jollibee stores nationwide. However, this specially marked Coke can is limited edition. So you only have your chance to get your own one until supplies last. “This is the first time it’s gonna happen and we’re not sure if this is gonna happen again. This is definitely very limited. Probably would be good for at least four weeks,” said Francis Flores, global brand chief marketing officer of Jollibee. If you’re living abroad and want to grab your own can, don’t worry because the fast food giant is also planning to roll out this project to their branches in different parts of the globe. However, they didn’t announce the exact date. 3. These cans are collector’s items. Since the designed cans are limited, collectors can now add it to their list of “collector’s items,” especially for the fans of these two brands. One may add it to the bee’s Funko Pop, while for Coke, it’s their first designed can. Jollibee Coke Can and Funko Pops are good addition to every collector’s item. You can have your own Jollibee Coke Can just by adding P45 with any value meal with Coke from January 15 to February 8, 2019 in all Jollibee stores nationwide.